A newly discovered ransomware-as-a-service (RaaS) program called Paradise is attempting to infect computers via hijacked Remote Desktop services. An RaaS is where the developer of ransomware manages its development and operates the Command and Control server in exchange for a small cut of all ransom payments received from victims. According to security expert and BleepingComputer creator Lawrence Abrams, the ransomware relaunches itself following execution to gain administrative privileges. The ransomware then encrypts a device’s files with an RSA-1024 algorithm by appending the string “id-[affiliate-id]. [affiliate_email].paradise” to targeted file names. The ransomware will write the RSA encryption key that was used to encrypt a victim’s files to the %UserProfile%\DecriptionInfo.auth file. This file will then be encrypted by a master encryption key that was bundled in the ransomware executable. This allows the developers to extract a victim’s unique RSA key after they have paid a ransom. If the ransomware is successfully executed, it throws up an image on the desktop with white text over a black background that reads “All your files are encrypted!”. 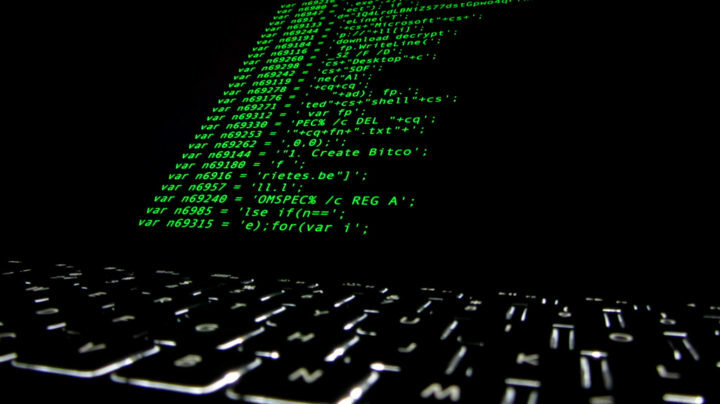 In a corresponding .txt file, the ransom note includes the attackers’ email address and payment instructions to obtain and pay with bitcoin, a digital currency. “Your important files produced [sic] on this computer have been encrypted due a security problem” the note added. Notably, the ransomware uses RSA encryption to take over the file, a process of encryption that is very slow. If the victim is alert to it, the encryption could be detected and put an end to.